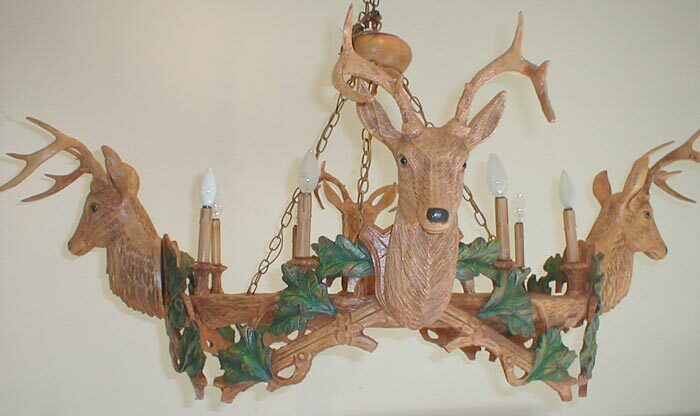 Description: 4 large stag heads in new light shade (pine wood) on green or brown ivy ring. 8 bulbs of 60 watts. Shades extra. Three, five, six head and 8 head two tier also available. Resin & steel. Shades extra.